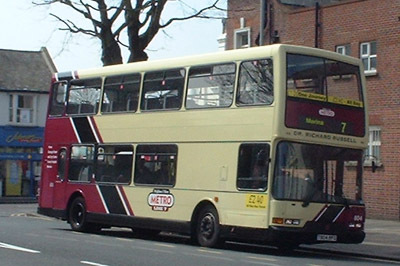 804 Dennis Trident - carried name since delivery in March 1999, originally on METRO Line 1 then METRO Line 7 from April 2004, repainted into new livery from August 2004. 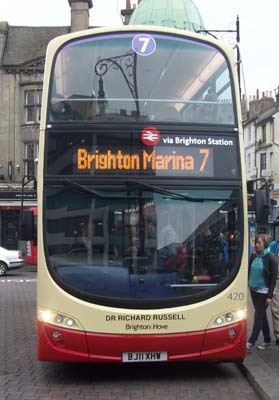 April 2011 name transferred to 420 Volvo Gemini on Route 7. 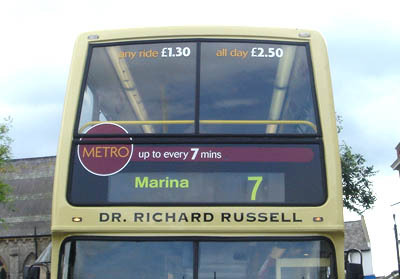 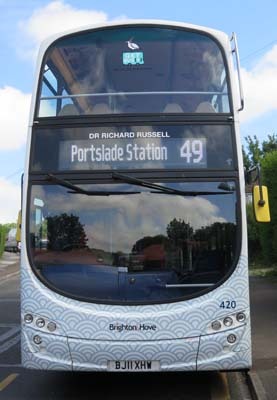 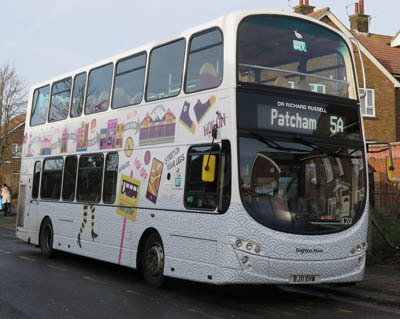 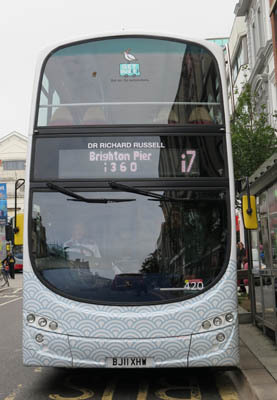 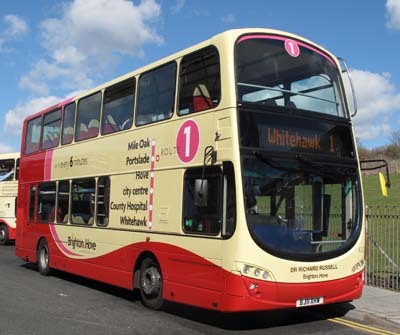 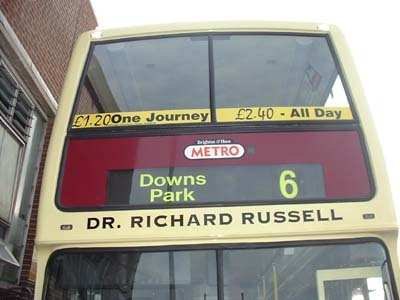 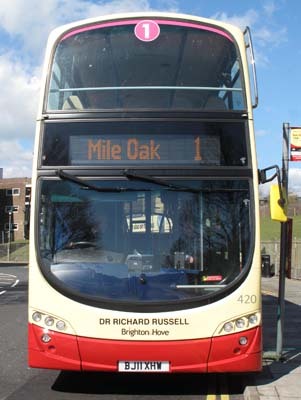 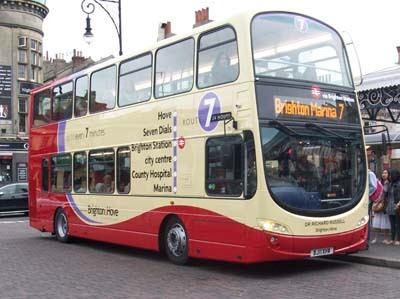 Branding changed to Route 1 March 2012. 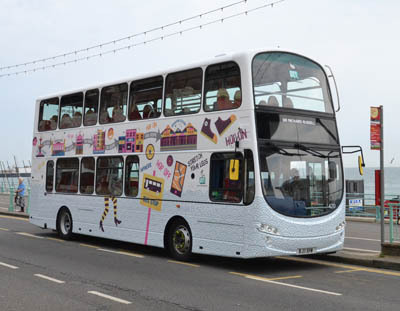 Repainted into Get Bus(y) get fitter livery June 2016. 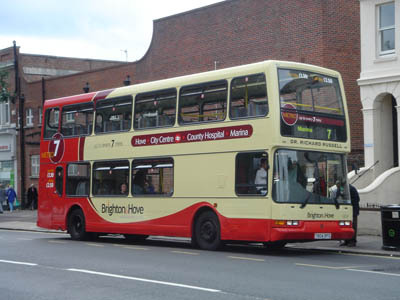 Brighton & Hove added to front December 2016.